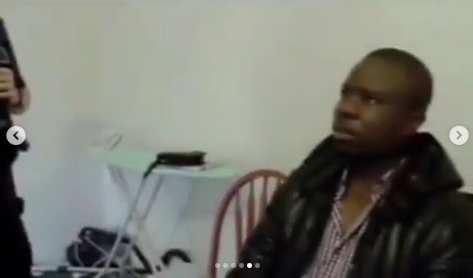 A Nigerian man was busted by UK Border agency for overstaying on an expired visa issued to him in Lagos. He was also found with multiple passports during which he denied his 'real' identity. At a point when he was asked for even his date of birth, he couldn't remember. He was looking all sorry and sober... How sad! If home is good, our people won't be desperate to hide abroad.